Facebook is the most popular social networking site, which has changed the face of the way we interact with each other. And with the announcement of the launch of facebook mail service, it is threatening to change the face of emails, the present day de-facto standard for online communication. But, there are cases, when you may forget facebook login password details. In case this happens to you, then you can try to recover facebook password by going to the Reset Password page of Facebook located at http://www.facebook.com/home.php. However, there is yet another option. There is a freeware utility to retrieve the facebook password from the popular web browsers and messengers installed on your computer, where you might have stored the password. 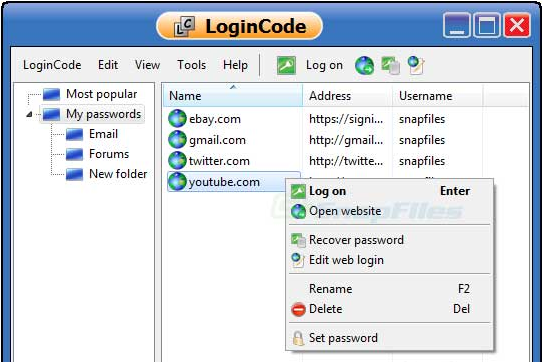 Most of the applications store the Login passwords to prevent hassale of entering the password everytime by the user. Often these applications use their own proprietary encryption mechanism to store the login passwords including Facebook account passwords. FacebookPasswordDecryptor automatically crawls through each of these applications and instantly recovers the encrypted Facebook account password. 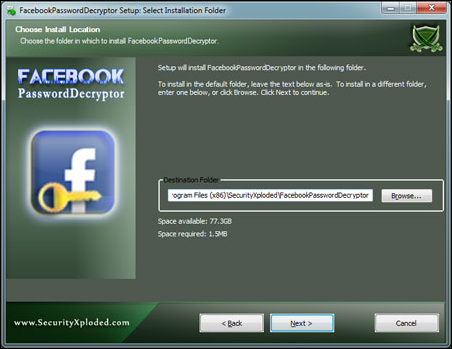 FacebookPasswordDecryptor is fully portable tool which can be directly run anywhere without installing locally. It also comes with Installer for those who wants to install it locally and use it on regular basis. It works on wide range of platforms starting from Windows XP to latest operating system Windows 7. Supports recovering multiple Facebook accounts stored with any of the supported applications. 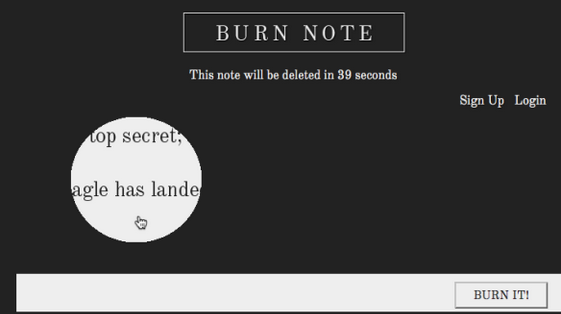 Sort feature to arrange the displayed password list by username and password which makes it easy to search through 100’s of entries. 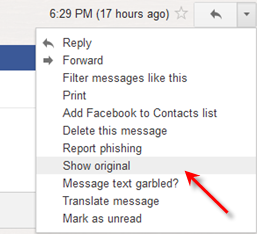 Save the recovered Facebook password list to HTML/TEXT file for transferring to other system or for future use. I cannot not get into facebook, I have enter the code, but I still canno get in.Ihave change my password I forget which one is the right one.Judy. I can not get my old Facebook account back I had for 3 years, if I log into my boyfriend account I can see my account over there. when I put in my log in I got a new fb account to start all over, it says add me as a friend??? Please Help,,,I play the games and not starting over again,,I used to spend 400.00 on FBC…HELP!!!! can't find my old facebook account. dan saya sangat berterimah kasih banyak kepada MBAH DALLE atas bantuannya saya bisa menang togel 4D nya yaitu~4524~saya ingin berbagi cerita kepada semuanya bahwa saya ini cuma seorang TKI dari malaysia dan saya cuma bekerja sebagai pembantu,tentunya anda tau kalau pembantu itu gajinya tidak seberapa dan saya kepengen pulang kampung tapi gaji saya tidak cukup akhirnya saya coba pinjam keteman saya,dia pun juga tidak punya uang dan saya pindah lagi keteman yang lain dia pun juga tidak punya,,akhirnya teman saya memberikan nomor hp MBAH DALLE dan katanya ini paranormal sangat terkenal yang banyak membantu orang dalam mengatasi masalah,dengan penuh semangat saya langsun menghubungi MBAH DALLE dan ALHAMDULILLAH saya diberikan angka yang benar-benar tembus dan berkat bantuan MBAH DALLE saya sudah bisa berkumpul kembali dengan keluarga saya dikampung,,jika anda sangat membutuhkan bantuan..jangan anda ragu silahkan hubungi saja MBAH DALLE di no.hp~0823~2228~1113~karna beliau meman benar-benar paranormal yang bisa dipercaya dan yang punya room terimah kasih banyak atas tumpangannya.